My new favorite read: Ex Libris: Fulton Sheen, a book about one of my favorite people written by one of my favorite people! The past few weeks have been really intense in the carrying out of our mission. Almost immediately after I posted that I would be back to blogging regularly, I was asked to take on an assignment that has basically taken up all my time for the past several weeks. (Which is, of course, not unusual in the world of media!) But now, I am picking back up where I left off several weeks ago, focusing on using God’s gift of creativity to express truth, beauty, and goodness. The Servant of God, Venerable Fulton Sheen is someone I have greatly admired as a communicator for Christ: he won a television Emmy award for teaching about Christ! Recently, another Catholic communicator, Emmy-award winning Alexis Walkenstein, published a book introducing the writings, thought, and spirituality of this great man of God. I stole some time this past week to read the entire book and am delighted by the breadth and depth of this easy read. Every moment brings us more treasures than we can gather. The great value of the Now, spiritually viewed, is that it carries a message God has directed personally to us. Books, sermons, and broadcasts on a religious theme have the appearance of being circular letters, meant for everyone…. But though moral and spiritual appeals carry God’s identical message to all who listen, this is not true of the Now-moment; no one else but I am in exactly these circumstances; no one else has to carry the same burden, whether it be a sickness, the death of a loved one, or some other adversity. Nothing is more individually tailored to our spiritual needs than the Now-moment; for that reason it is an occasion of knowledge that can come to no one else. This moment is my school, my textbook, my lesson…. I think that the Servant of God had such a profound grasp of the present moment not just from his spiritual life and prayer, but also because he was a communicator. As an exceptionally gifted homilist and TV personality, Sheen knew the value of living in the present moment, because he had lots of practice as a homilist and on TV: it is only by being attentive to God’s presence in the moment that we can receive the grace and inspiration of God to communicate as/what God wants us to communicate. Venerable Fulton J. Sheen was a tremendous gift of God to the people of the 20th century. With his informal language and rigorous logic, he made divine truth accessible to the ordinary person. Author Alexis Walkenstein shows us how Sheen continues to be a tremendous gift of God to the Church in America today, with his unflinching commitment to the Truth, with his intercession for us, and with his in-depth understanding of what it means to be Catholic in America and how to nurture that ability to communicate Christ with not just our words but with who we are. Read the inspiring story of the miracle approved by the Vatican through Venerable Fulton Sheen’s intercession. A Wrinkle in Time Movie (& Novel) Guides Available Now! It’s a delight to be able to offer this little Easter gift for my blog readers! Here are some guides for reflection and discussion for A Wrinkle in Time, available individually or all in one downloadable PDF. 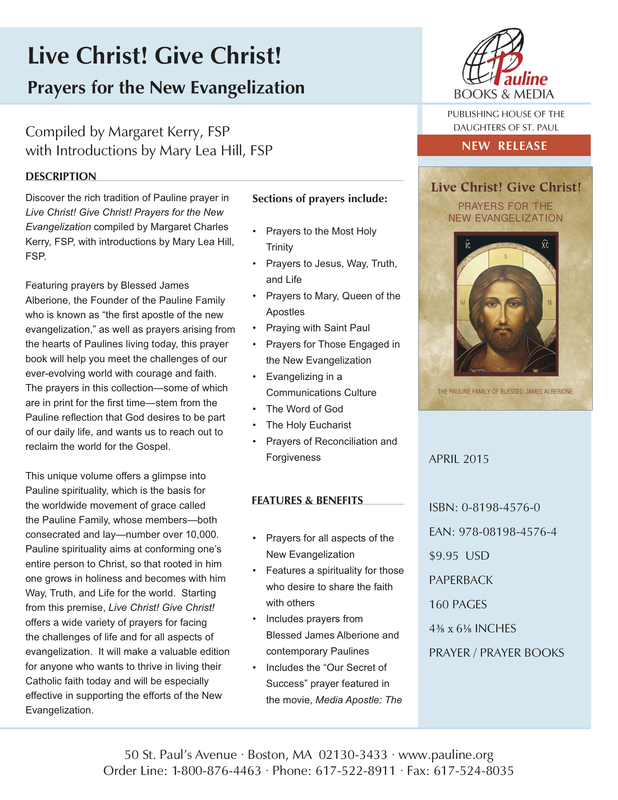 Eventually, these guides will move to the website for the Pauline Center for Media Studies, so if you’re interested in discussing the film or the book, or comparing the two, or simply praying with themes (and Scriptures) from the novel, you might want to download them from here today. Enjoy! You may find it helpful to read my recent review of the film. 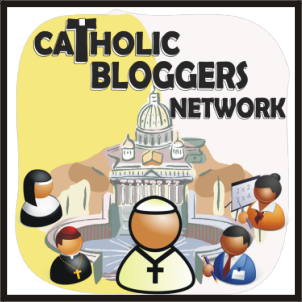 Catholics on Social Media & Visio Divina! 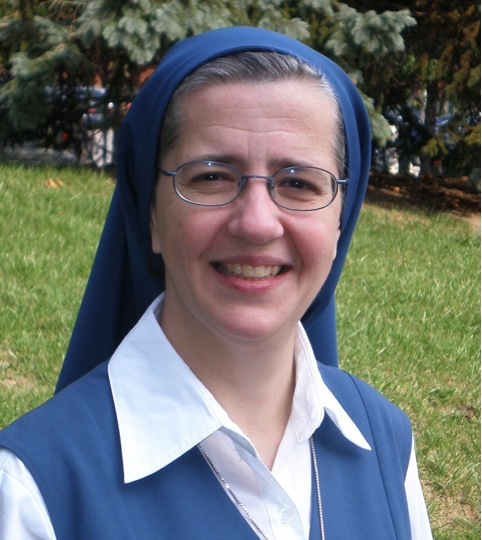 Our Sunday Visitor does a marvelous job of periodically “rounding up” wonderful Catholic resources online. The June 26th print issue had a wonderful article entitled “Digital Discovery” written by Mark Shea about Catholics in podcasting. He introduced me to a couple of podcasts that I hadn’t discovered yet, so this is well worth checking this out! I was especially interested because I am researching the possibility of us beginning a Pauline podcast, and he has quick tips for an easy start up. Another series of recent articles from OSV gives families practical tips of how to make your use of social media balanced, discerning, and healthy. Here’s a list of those articles online. For those who are visually artistic, I wanted to mention that Pauline Books & Media is publishing two religious coloring books that the sisters hope can become “gateways” to contemplation. Our Lady’s Garden is a simply exquisite coloring book of various images of the Blessed Virgin Mary, and the sisters have put up one page of the coloring book online that is free to download (and color)! The Pinterest Board with the results are beautiful. Ever since I was introduced to Sr. Wendy Beckett’s work years ago, I have occasionally enjoyed praying with sacred art, which I have heard described as visio divina—a way of prayer that uses visual art as an entryway to prayer. Like cinema divina—a way of prayer that uses film as a way to enter into prayer, visio divina engages our senses directly with an image. Creating sacred images to inspire has a long and sacred history, as does praying with sacred images. Windows into Christ is the second coloring book that the sisters hope will be used for prayer and meditation. I Finally Did It ! I Read Geekpriest–and This Is What I Enjoyed Most! No, unfortunately I did not become a Jedi knight (unlike Father Roderick, who is holding a lightsaber!). I finally obtained (note that I did not beg or steal, but borrowed…from halfway across the country!) a copy of Geekpriest: Confessions of a New Media Pioneer, by Father Roderick Vonhögen. I’ve been eagerly anticipating reading Father Roderick’s book for ages (yes, that’s since a whole two years ago when the book was first published by Servant Press/Franciscan Media). One drawback of eager anticipation is that it is easily disappointed. Not only was I not disappointed, but I was fully engaged and tremendously satisfied by this remarkable book. I wonder how many of us have actually read this book? A marvelous blend of personal anecdotes and insights on using new media, Geekpriest is delightfully informal and accessible. Anyone who works in Catholic media will enjoy, be inspired by, and learn from this treasure. Throughout the rest of the book, it was both a delight and inspiring to see how Father Roderick carried out these and the other “key principles” that he highlights. Chapter 2 is very much Fr. Roderick’s personal journey to faith and his vocation as a priest, paired with his discovery and comparison of sanctity and superheroes (a comparison I’ve made when talking to kids in a classroom). The “Superhero Checklist” is not just a good checklist for vocational discernment (which I will highlight on my discernment blog), but also for how we live out our vocations. Another of my favorite chapters is the Disneyland chapter, as Fr. Roderick dispels the Disney myth that we are the knights in shining armor (because, of course, it is Christ who is the Savior, not us! ), and how he slowly and painfully learned balance in his priestly ministry. His “Disney examination of conscience” is a great way to introduce kids to the examination of conscience. His respect for the mythology of fairy tales and other forms of storytelling as ways which can help us to see with new eyes enlivens the entire chapter. Chapter 4 tells the story of Father Roderick’s first podcast, and also the 5 “I’s” of Communication that he learned in a course on radio that he took at the Pontifical Gregorian University in Rome, and still uses today. They are invaluable for any form of communication—including conversations! The rest of the chapters follow the same pattern: a fascinating personal story from Father’s life, followed by life-lessons and in many cases, communication- or ministry-lessons. The entire book is so engaging and so personal in tone, that at the end of each chapter, I simply felt that I’d had a great conversation with Father Roderick and wanted to keep on reading. It’s one of the quickest nonfiction reads I’ve ever read, and I’ve already gone back and re-read it a second time…and I will re-read my favorite parts once more before I return my copy shortly. A final note: if all communicators knew and practiced these principles of communication, boring religious media would cease to exist. If you aren’t familiar with Father Roderick and his work at www.SQPN.com, do yourself a favor and check out his podcasts, website, and above all his engaging book! The topics of the chapters rotate, but I found three main themes running through the book. 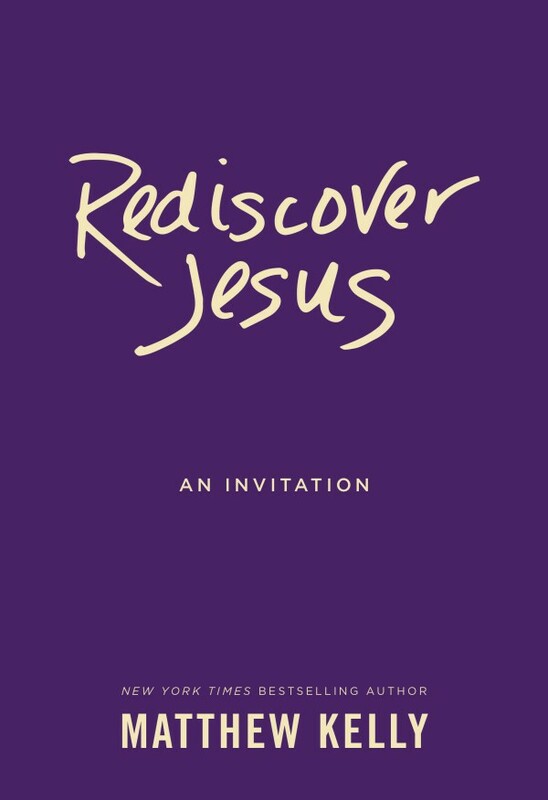 The first 9 or so chapters seem to focus on who God is and who Jesus is–especially as we can come to know him through the Gospels and through prayer. These first chapters are shorter, extremely inviting and appealing, and motivating. They’re great not just for people who need a personal relationship with Jesus, but also for those who seek to deepen their relationship with Christ. I’ve bookmarked several points to pray with later. My favorite chapters of the book were these first chapters and the last few chapters because they focus so well on the personal. What does Jesus truly want for us? How does Jesus think of us? How do we think of Jesus? How can we give Jesus our all? From the middle of the book to the end, the chapters primarily focus on transformation: how Christ wants to and will transform our lives if we allow him–so that we can be truly, deeply happy, so that we can be our best selves. In a particular way, the last ten or so chapters discuss holiness–in a way that makes it accessible to everyone. My only gripe? The overuse of the word “radical.” I don’t know if it’s the editor in me, or a reminder of how much I used to overuse it when describing Christian discipleship and religious life, but the way “radical” was frequently used to describe Jesus distracted me a couple of times. This is a wonderful day because I can finally share with you something that I’ve been looking forward to for a long time: a prayer resource specifically for those who evangelize and/or work in the media or the arts. Drawing abundantly from the prayerbook of the Pauline Family–which is a private edition, intended only for members of the Pauline Family–Live Christ! Give Christ! 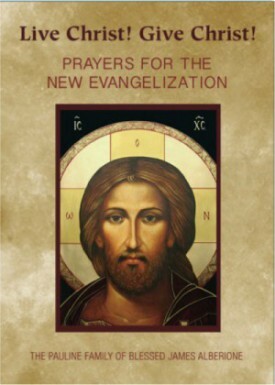 Prayers for the New Evangelization is an inspiring prayer book with wonderful prayers by Blessed James Alberione and others from our Pauline tradition, as well as from contemporary Paulines. The title captures our spirituality (inasmuch as any 4 words can capture a spirituality)–that our communicating Christ flows from our dynamic relationship with him. It’s a really moving collection of prayers that can inspire a deeper living in, through, for and with Christ, as well as a spirit of evangelization that encourages us to testify to Christ not just with our words and media work, but with our whole lives. This prayer book includes prayers that focus on all of these aspects! I cannot wait to begin praying with it myself. Although I was blessed to be a small part of this project–the editor included a number of prayers that I wrote and asked for my input on this manuscript when it was in development, I’m sharing my enthusiasm because of the wonderful prayers that are new to me, that all media professionals, artists, and Catholics involved in evangelization in any way will find helpful for their prayer and work. As soon as I received my copy, it traveled to our chapel with me, where I can personally pray with it. I was going to share a couple of favorite prayers with you, but as I flipped through the pages, I could not choose…they are each so beautiful. For more information, the tip sheet is included below.